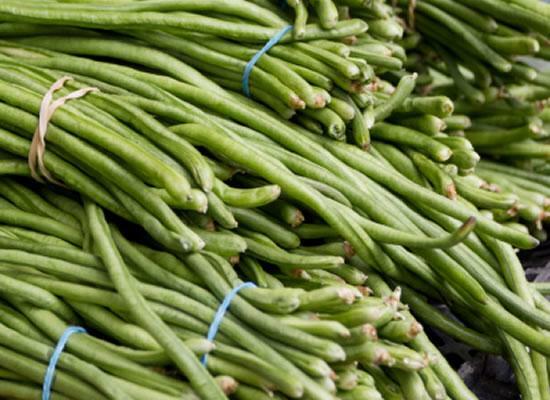 Pachai Karamani (or Yard Long Beans or simply Long Beans) is a good source of Protein, Vitamin C, Calcium, Potassium and many other nutrients. 2. Add the mustard seeeds, curry leaves and saunf. 3. Fry for 30 seconds. 4. Add onions and garlic. 6. Add the tomatoes and cook until mushy. 7. Add red chilli powder, turmeric powder and beans. 8. Stir well and pour 1/4 cup of water. 9. Add salt and stir again. 10. Cover and cook for 5 minutes, stirring from time to time. 12. Serve as a sidedish with rice. Feel free to comment or share your thoughts on this Pachai Karamani (Long Beans) Masala Recipe from Awesome Cuisine.